For the next few days, we’ll be sharing some Halloween inspired recipes with y’all! Today, we’re sprucing up our weekend smoothie by infusing our traditional smoothie flavors with some Halloween color flare! 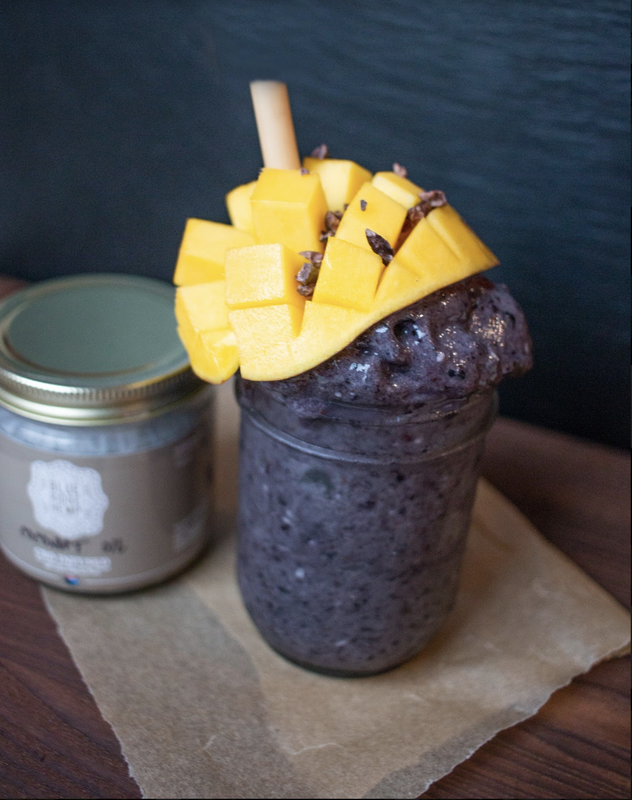 This mango smoothie gets its rich black-purple color from activated charcoal. Charcoal should not be eaten every day, but every once in a while it’s a fun new ingredient to play with in your food! Check out our recipe below, and stay tuned for more festive recipes over the next few days . . . In blender add 2 frozen bananas, 1 cup frozen blueberries, 1 tbsp. activated charcoal, 1 tsp.vanilla extract, 1 tbsp. CBD original coconut oil, and ¼ cup coconut milk to a blender. Blend until it reaches a smooth, ice cream-like consistency. Top with fresh mango and enjoy!